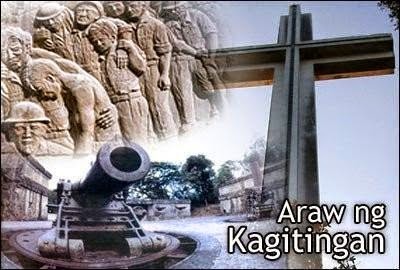 Manila, Philippines - Department of Labor and Employment (DOLE) announces pay rules for Araw ng Kagitingan (Day of Valor) on Wednesday, April 9, 2014 which is a regular holiday nationwide. This is by virtue of the declaration by President Benigno S. Aquino III under Proclamation No. 655, declaring the Regular Holidays, Special (Non-Working) Days, and Special Holiday (For All Schools) For the Year 2014. DOLE said yesterday that workers who would work on that day are entitled to double pay. An employee who will not report to work during a regular holiday will be paid 100 percent of his salary for that day, including the cost of living allowance (COLA). If an employee worked, he/she shall be paid 200 percent of his/her regular salary for that day for the first eight hours. The COLA is also included in the computation of holiday pay. Employees who work in excess of eight hours will be paid an additional 30 percent of hourly rate on that day. If an employee worked during a regular holiday that also falls on his/her rest day, he/she shall be paid an additional 30 percent of his/her daily rate of 200 percent.